Intense observation and my response to what is around me is how I receive my inspiration. 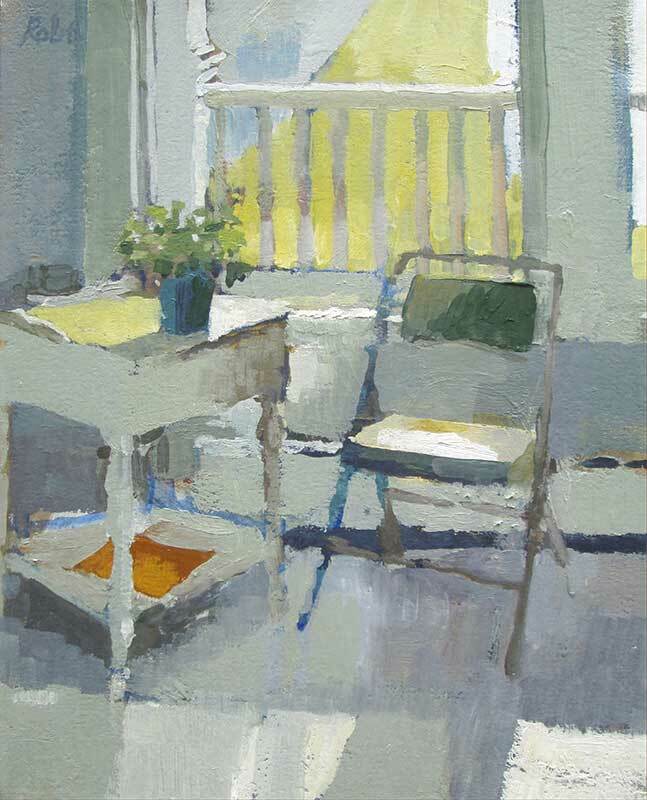 The way light hits a countertop or the side of a chair is the spark that gets the painting started. The color of light influences the color of objects and creates interactions between disparate things. My paintings are about the relationships between these elements. My imagery is personal; I need some connection to my subject matter in order for me to claim it in a painting. I work from direct observation; I am very interested in how the human eye perceives the things around us, and how the hand and heart work to put the image down on canvas. It’s a wonderful feeling when the reality of the painting takes on a life of its own and exists on its own, apart from the objects observed. It seems like such a simple thing but there is something magical and transcendent about this aspect of representation that has a very strong power for me.